Once your pool is installed, get set for many summers of fun! Always make repairs to your above ground pool as soon as possible to prevent further damages. The Optimum is versatile enough to fit any yard as a round or oval above ground, semi in ground or full in ground pool. 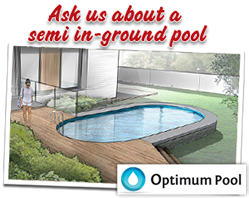 The Optimum pool will enhance your home and backyard. The pleasure you and your family will find for years to come. There is simply no pool that is as affordable and versatile. 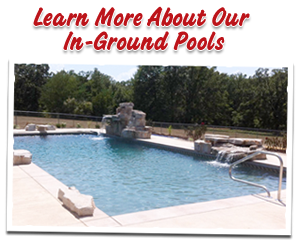 Today's above ground pools are built to last, and have a variety of liner and wall designs. 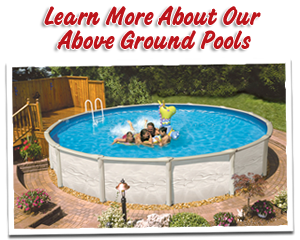 Above ground pools are easy to put up - and if you ever change your mind, easily removed. And let's not forget about Lighting, add-ons, cleaners - above ground accessories can meet practically any need! We are a full service inground pool design and installation company. We want to build you the pool of your dreams, and make the process easy and enjoyable. We pride ourselves on experienced pool installers, superior designs, attention to detail, clear communication, professionalism, and integrity. © 2018 LU’S POOL & SPA, All Rights Reserved.